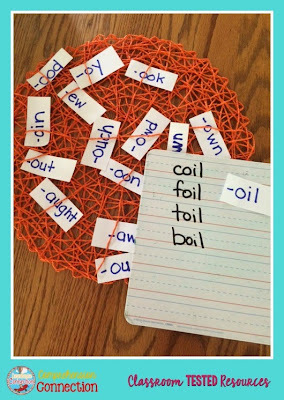 Building foundational skills for beginning readers is best done with LOTS of word building activities and word play. 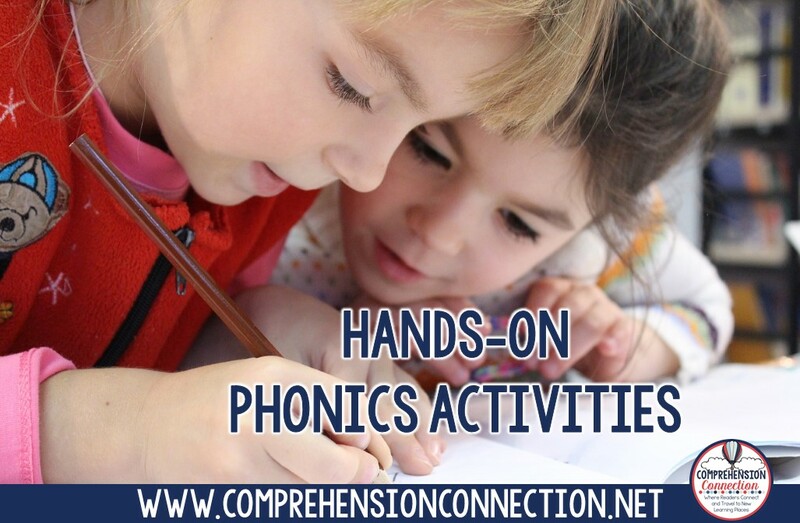 Rapid word work and practice with reading fluency helps move our students along the reading continuum and on to deeper reading. 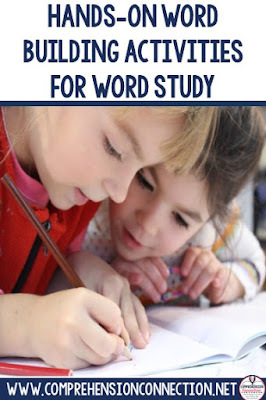 In this post, I want to share with you a variety of fun hands on ideas I've used as part of my word study routine. One simple, but effective game I've used with my students was created by my colleague, Carolyn. 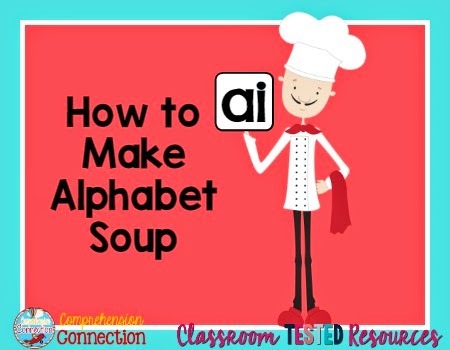 This gal got the best results, and I promise you, your students will really improve their use of word chunks and patterns if you make Alphabet Soup often. 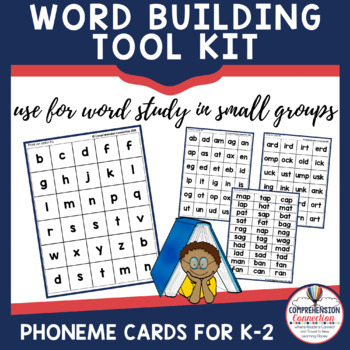 The first step to making Alphabet Soup is to download the freebie to the left and print each page on colored cardstock as directed, laminate them, and cut apart. Put small letters and word family cards in a tackle box for storage for making words. The sound cards (index card size) are what you need for making Alphabet Soup. 1. Flash each sound card to your group of students. Put all known sounds (ingredients) into the cooking pot and set aside the unknown. 2. Stir them up with your wooden spoon (prop) to mix them up. Then, pull one sound card from the post at a time. Ask your students to write a word of your choice with the secret ingredient in all the possible ways they know. 3. Once finished, have them star or circle the way they've "seen in print". 4. Compare spellings and discuss pattern as a group. The idea is simple, but yet with a few props and enthusiasm, it becomes a game. 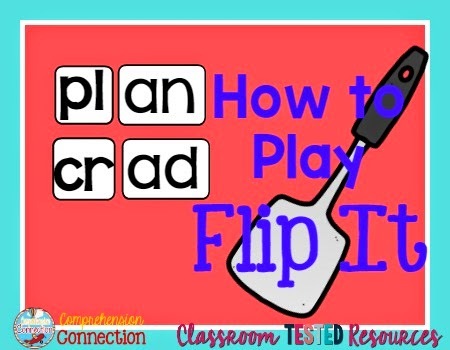 Another fun game you can do with the letter/word family cards from this set is play Flip It. Having students make both real and pseudo words helps students recognize patterns more quickly in unfamiliar words. The goal with this game is for students to flip two cards (onset and rime), put them together to form a word, read it, and determine if it is real or pseudo. If it's real, students get to record the word on his/her word list. The student who makes the most real words wins. 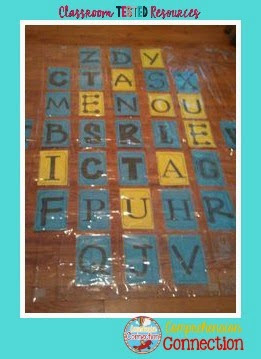 Shower curtains or plastic tablecloths can be used easily and cheaply for classroom games. During my reading program, I got a collection of page protectors and taped them in blocks onto a shower liner to create a grid. It works beautifully for displaying student work, making a class "quilt", and best of all, as a Boggle Board if you place a letter in each page protector. Kids love to connect the letters to see how many words they can form. 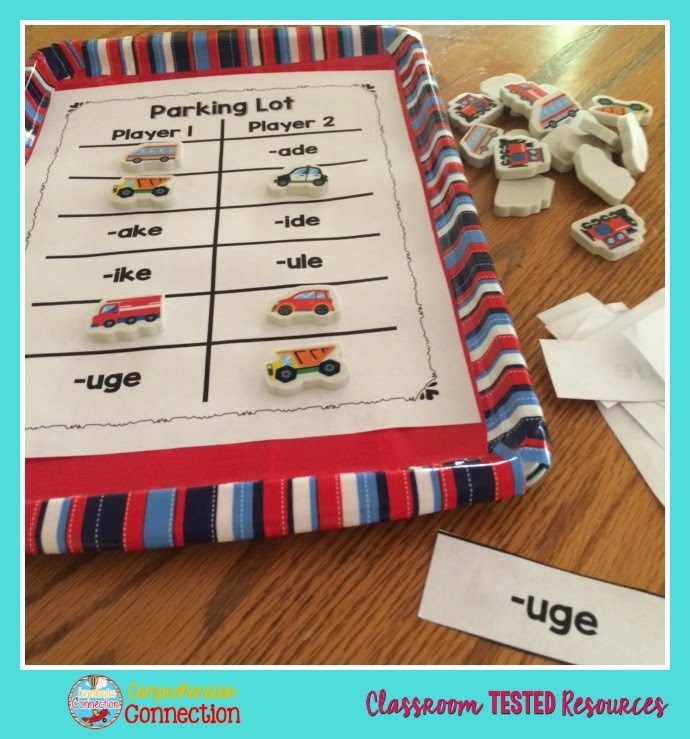 Placed carefully, the patterns can be used to reinforce word study rules too. Do you shop at the Dollar Tree? 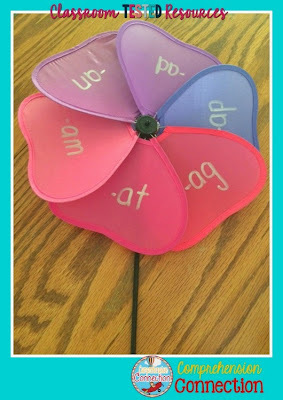 Well, they have these adorable pinwheels there that can be used for games to practice word study AND comprehension. Jenny from Luckeyfrog's Lilypad shared this clever idea about a year ago, and it hit me that it could easily be adapted to word study too. Kids spin it, pinch it, and make as many words as possible with the word family. This game is great for any time of year. It's called Web of Words. Students play it like Pin the Tail on the Donkey. They close eyes, pick a card, and make as many words as possible on their dry erase boards. Speaking of the Dollar Tree, I also picked up this soccerball and made this long vowel patterns game. Students toss the ball to each other and make words with the pattern their right thumb touches (or left pinky...you choose). Pong has a few options. 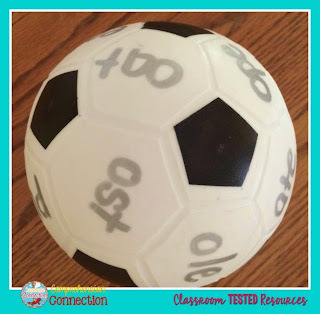 You can create bingo boards with real and pseudo words using the long vowel word families on these balls. 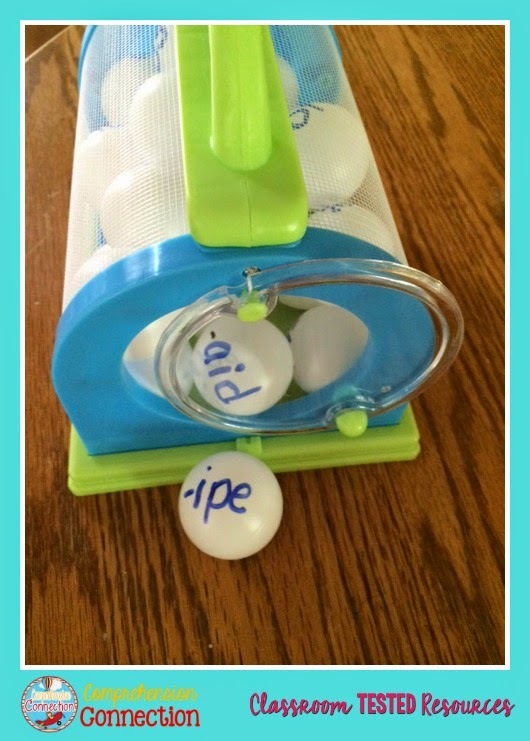 You could also have students select the ping-pong balls, give them one minute to create as many words as they can and award points based upon how many words are formed. Both build the student's decoding and word analysis skills. The last game I am going to share is called Parking Lot. Students place word family cards for short vowels (CVC patterns), long vowels (CVCe, CVVC) or diphthongs (aw/au, ow/ou, oi/oy) face down and take turns drawing them. Students make three words with the ending sounds and mark the corresponding sound with their markers (I picked up transportation themed erasers I plan to use, but matchbox cards would be cute too.) If you want to be cheaper, you could also use markers you have on hand too.